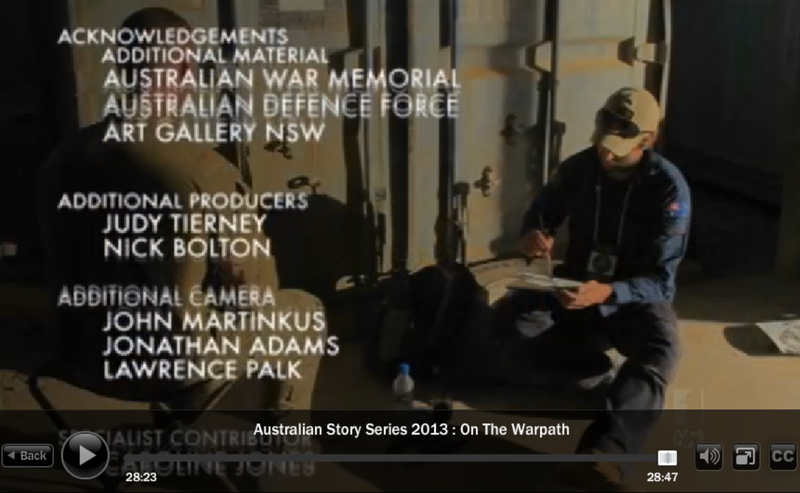 It was very touching to see the response to our promotional video for Ben Quilty‘s Afghanistan Story art exhibition. A week later, Ben rang me to say that ABC were updating their Australian Story episode on him, and wanted to use our footage, which we were only too pleased to provide. I’ve only just watched the episode as I’ve been in Thailand for three weeks, and needless to say bawled like a baby on numerous occasions. Its heartwrenching stuff. Ben takes a lot of credit for speaking up about his former employer regards the tricky issue of post traumatic stress disorder. And here is our promotional video again.